Our six Classic Double guest rooms provide our guests with affordable yet comfortable individually designed and furnished rooms. 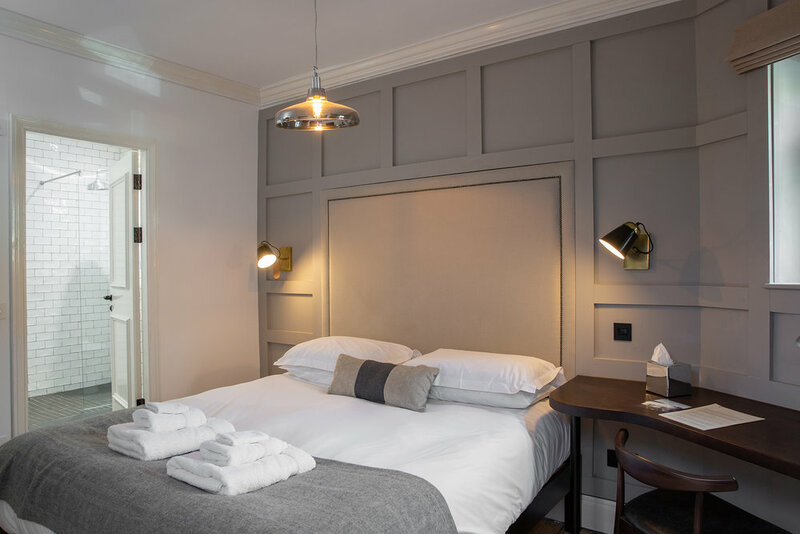 These rooms have been carefully designed to emphasise the beauty and history of this former coaching inn. We have sought to use local crafts people where possible to add touches of luxury to your surroundings and to connect you with the magnificent beauty of the Dales and the Howgill fells that surround you. Each of our bathrooms is a haven of tranquillity, fitted with either a shower over bath or walk-in rain shower, the perfect place to soak away the day with our bespoke range of ‘Petrichor’ toiletries; (a word which describes the evocative earthy smell of rain falling on dry earth), created for us by The Sedbergh Soap Co.